Check out the new South Hill Designs 2013 Fall Catalog to view the new Droplets and Chains! Now that you have your locket designed and filled, it is time to pick your chain and chain enhancements, aka Droplets! Cute Jewelry gets even cuter with these adorable droplets that clip right onto your necklace chain. We currently offer 22 choices. We also offer 14 choices of exciting Chains See the list below or hop over to www.southhilldesigns.com/cutejewelry to get started! We currently offer five different pearl droplets for your floating locket chains: Titanium Pearl with Silver, Pink Pearl with Silver, Pink Pearl with Rose Gold, Champagne Pearl with Rose Gold and Champagne Pearl with Yellow Gold. We currently offer many choices of charm droplets to go with your floating locket chains and coordinate with your special look! 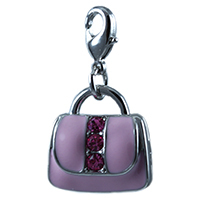 All of our South Hill Designs Charm Droplets are embellished in silver and include: Pink Purse Droplet, Anchor Droplet, Wing Droplet, Lock Droplet, Horseshoe Droplet, Crystal Cross Droplet, "Love" Droplet, Treble Clef Droplet, Present Droplet, High Top Sneaker Droplet, Cupcake Droplet, Paint Palette Droplet, Crystal Sandal Droplet, Purse with Heart Droplet. I absolutely love that not only can I design my own locket with different charms each time, but I can mix it up even more by adding a droplet! I am a baker on the side, and I get so many compliments when I wear my Cupcake Droplet on my locket chain. It is the perfect extra touch! South Hill Designs gives you SO many choices with how to wear your floating glass lockets. Not only are we one of the few floating glass locket companies that offer a standard 18 inch chain with all of our lockets, we give you the chance to upgrade as well! 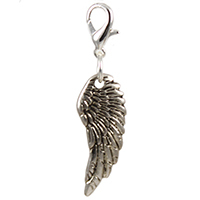 We currently offer 18 different upgraded chains and 3 Locket/Necklace Enhancement add-ons. See below for more information on the many choices you have to expand the looks of your floating glass lockets! South Hill Designs gives you so many ways to make your necklace (or necklaces!) unique. 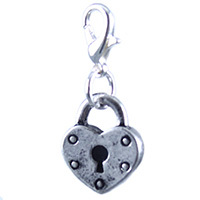 Currently we have 3 Locket/Necklace Enhancers you can choose from. If you need or want to make your necklace a little longer, we offer our Three Inch Necklace Extender. If you would like to have your locket hang a little lower so you can wear more droplets, we offer our One Inch Locket Extender. If you really want to show off, we have our Triple Locket Tassle. This will let you clip on three lockets to your chain! 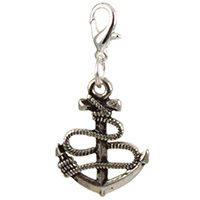 Perfect for a big event, or for wearing all of our new Holiday Charms! Currently these enhancers are only available in Silver. This chain is my favorite! It is 32 inches long and very light weight, but still offers pizazz. It is perfect for clipping multiple droplets to and really makes my locket shine! These 20 inch Diamond Cute Ball Chains offer an upgraded look, without having to choose a chunky chain. It is a great way to wear your locket with a little more length. Currently available in Gold and Silver. These 32 inch chain are embellished with a small metal bead every so often to give the chain a little pop! All you need if you want to keep it simple Available in Silver, Gold, or Rose Gold. These are 28 inch chains, available in Silver, Gold, or Rose Gold. These chains let you wear your locket a little lower than the 18 inch chain. Great choice for the medium or large lockets. These 28 inch chains provides a unique texture and the flexibility to wear your locket a little lower, while giving your whole look a little extra elegance. Available in Silver, Gold, or Rose Gold. These 18 to 21 inch chains are a little bolder and thicker. The bottom ends with a ring to attach as many droplets as you can fit, and a sturdy lobster clasp to attach your locket (or lockets!). Perfect for large lockets and large statements! Also great if you wear your job badges around your neck. Dress them up with a South Hill Designs Locket and embellishments that make you happy! Available in Silver, Gold, or Rose Gold. This 18 to 21 inch chain is similar to the Rolo chain, but a little chunky. It is made up of multiple round links. It includes the bottom ring to attach as many droplets as you can fit, with a sturdy lobster clasp to attach your locket. Perfect for the large lockets. Available only in Silver. This extra-long silver chain has delicate white pearls linked every so often for a touch of elegance. Wear it long, or layer it for a different look. Available only in Silver. Note: Unfortunately at this time, none of our upgraded chain are compatible with any of the mini lockets.